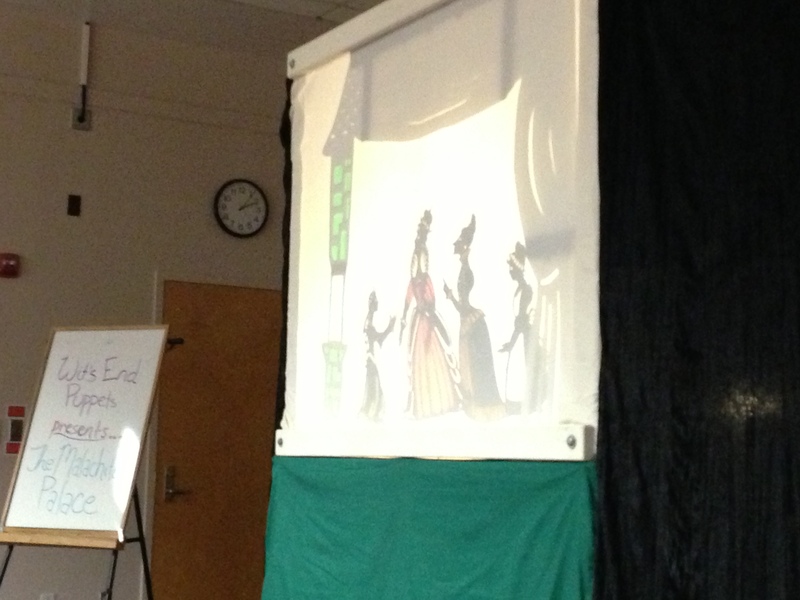 We were excited to share a remount of our first show The Malachite Palace at the Chinn Regional Library in Woodbridge VA a few weeks ago. In celebration of Hispanic Heritage Month, we brought this bilingual fairy tale based on a picture book by Alma Flor Ada to a group of kids ages about 4-13. 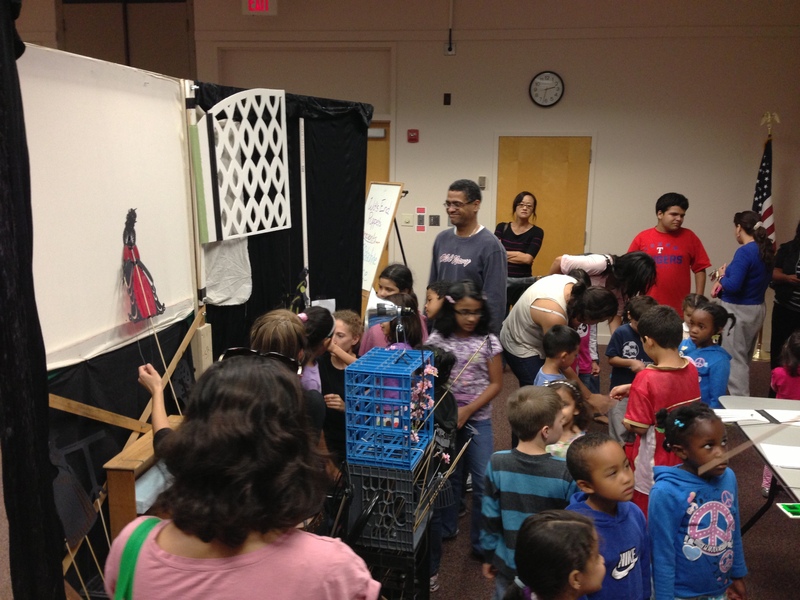 Below you can see a few pictures of the show and the kids exploring the puppets afterwards. 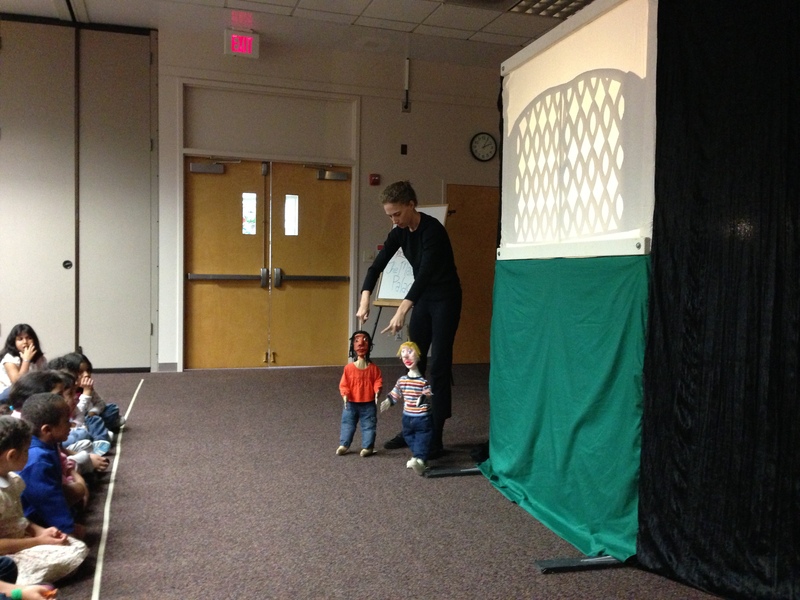 Genna operating the marionettes of the children and the shadows of the princess and adults inside the malachite palace. Our audience looking more closely at the sets and puppets. 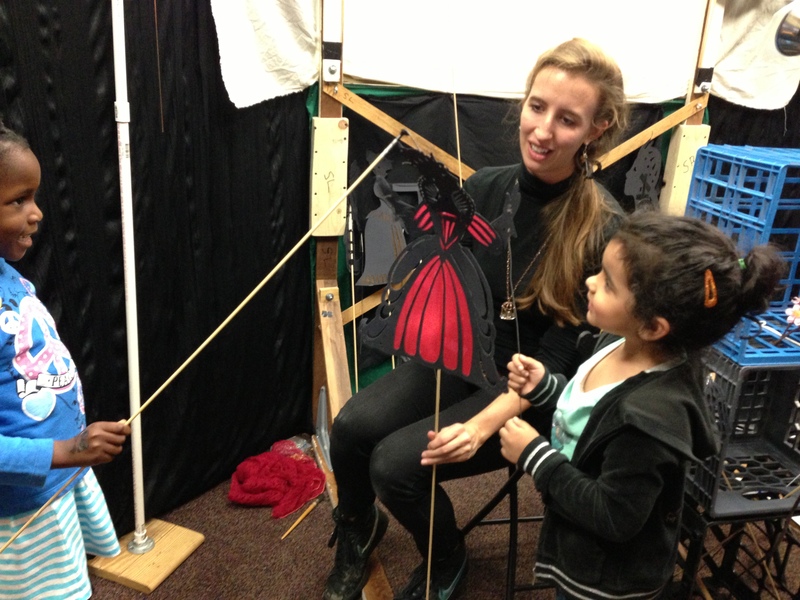 Sarah is showing two kids how to hold and operate the queen shadow puppet. This entry was posted in Performances by ccbooks. Bookmark the permalink. Aah, this is amazing! 😀 Do you guys have a “contact us”?